If you were to ask me if I wanted a private office, I would say absolutely. The truth is, a private office always meant something to me as a professional. After reading Nice Girls Don’t Get The Corner Office early in my career, I looked forward to the day I would be sitting pretty in a corner office and fantasized about it often. 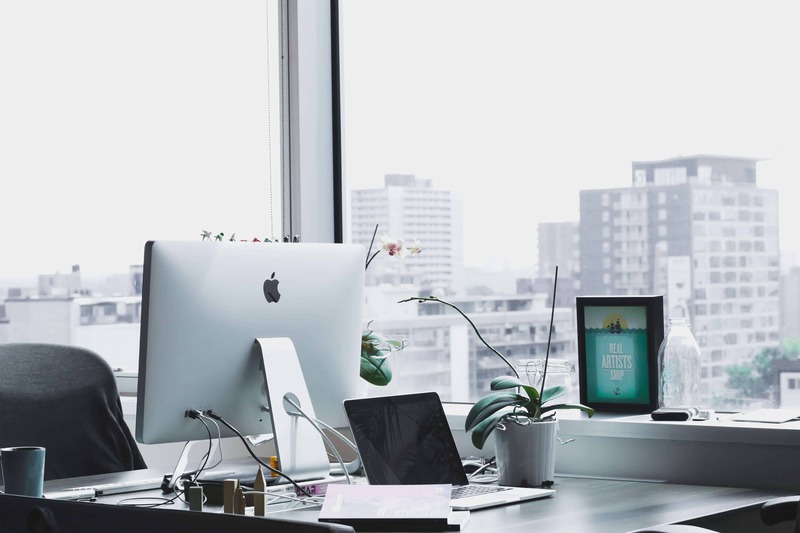 In addition to the aesthetic benefits, the term corner office has become a symbol for importance and prestige in the workplace, regardless or not if your workplace has this type of office setting. It is a trophy of sorts to show that your hard work has paid off. You’ve worked hard to get to the top and now that you are there, you have arrived at the corner office. As I stepped into the Account Director role roughly four years ago, I was beyond excited to receive my trophy whilst moving into my very own corner office. It didn’t take long to realize soon after moving in how closed off and isolated it felt to be in a box of an office all by myself. Yes, I was able to concentrate and get things done quickly, but I also missed out on that crucial comradery component with my team. I tried hard to listen to what was happening beyond the walls of my office- often identifying opportunities to teach and mentor those around me. I would sometimes pop out of my office with input but the truth was, I was still closed off. I wanted people to talk to me but if team members had to make the journey to my office, many wouldn’t bother and that was a problem. Let’s say their approaching me about a customer complaint that turns out to be about a major issue – this now becomes a bigger deal because of the environment that office creates. I found that the environment this created was not conducive to a productive, happy and communicative workplace and I wanted change. On one occasion, an employee came to my office to inform me they had struggled to find the best solution for a project the entire day. I let them know my rule of thumb, “if you are struggling with something for more than 5 minutes, ask someone for help.” Good advice right? Well, while they agreed this individual admitted to me that they didn’t feel comfortable approaching, or as they put it “bothering me” and so they opted for waiting it out on their own. This employee was now at the point of frustration over a pretty simple question that I would have been able to assist them with in a matter of couple of minutes. As I look forward to embarking on a new role where I will be meeting with clients and partners more frequently, one of the highlights for me was the opportunity to move back into a workstation, which I took with joy, excitement and to a certain extent, relief. Almost immediately after doing so, my mood seemed to brighten (probably in part due to the natural light I was now able to see) and I was able to collaborate with the team. I am now easily accessible to my team and able to provide critical insight and check in with team members in a casual environment. This new role for me is really one that focuses on ensuring our clients are provided with the best possible experience and being able to collaborate with my team, is one of the most important internal tools in today’s fast-paced world. As we rely more and more on technology, we also crave more face time and in person interactions with one another. I often joke that as I walk down the hall at our office, our team will be quick to ask a question or get my input. I wonder what would have happened if I didn’t walk past them in that moment? Would they have taken it upon themselves to seek my guidance? Would they have presented themselves at the corner office trophy room or sat quietly, waiting for a resolution. The good news is that for those who sit around me now, they no longer need to face those dilemmas. I implore individuals across organizations in Los Angeles, California, the United States and around the globe to challenge the conventional. Ask if your office is working for you, rather than you working in it. If you had a similar experience, perhaps moving your desk might move the needle on your career. Perhaps making yourself accessible is the key to an improved working environment. Whatever you decide remember this: It is our job as mentors, leaders and humans to improve those around us and the real question is: Does your current work environment allow you to do this beautifully? If it doesn’t, I think it’s time to move that trophy off the shelf and create an office that does.